The space you live in says a lot about you. The décor of your home signifies your personality. It also affects how you feel every day. By furnishing, colouring, or lighting any part of your house, you can increase the ambience, look, and function of that whole area. Every space can benefit from a matching décor product. As a matter of fact, you can add flare to ‘wherever’ you live, and make your home amazing again. All our products are aesthetically beautiful, durable in quality, and sourced by leading exemplary designers. We keep YOU in mind, and we keep our price tags low, so you can go from drab to fab without breaking the bank. At Inhome Décor, we believe a sale isn’t complete until you’re totally satisfied. Our motto is that decorating or furnishing your home should be fun, and your shopping experience should be too. That’s why we ensure a smooth transaction every time, and unmatched customer support. For this reason we stand by our products and service and offer not just one, but THREE money back guarantees. GUARANTEE NUMBER ONE: Product Quality. All our products are ‘as described’ in our listing description. We promise to deliver your product as advertised and in exceptional condition. If not, you’re covered by our 100% money back guarantee. GUARANTEE NUMBER TWO: Originality. We promise to only sell original made products and never sell imitation or replica style merchandise of any kind. The brand we advertise is the brand made by the manufacturer. If not, we’ll give you 100% money back refund. GUARANTEE NUMBER THREE: Customer care. We pride ourselves on excellent customer service, and promise to treat you with the courtesy and respect you deserve. We’ll always attend to your queries, questions, or any reasonable enquiry you may have in a proper and satisfactory way. 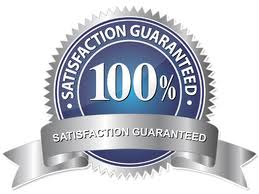 If you’re not totally happy with our service, we’ll offer you 100% money back guarantee, no questions asked.